I have a policy with knits and knickers in that I sew multiples in a production line fashion, so I cut out both dresses at the same time, I managed to squeeze each dress out of 2 metres of 54 inch wide fabric. The sizing goes on your high bust measurement, I was between a five and six so decided to go up one to be on the safe side. All the Lady Skaters I’ve seen seem to have quite a low waistline, I knew I would have to shorten the bodice by an inch, which is a standard alteration for me, but really wanted it to sit on my natural waistline so I decided to shorten it by a total of 2 inches. I also shortened the sleeves by 3 inches (also a standard adjustment for me) so from shoulder to wrist was about 19 inches. I’d not decided whether I wanted full or three quarter length sleeves at that point so kept to that measurement figuring I could decide once they were finished. The sewing was straightforward, I sewed most of them up on my overlocker (too lazy to change the thread for matching colours so went with the general assumption that ‘grey goes with everything’!) It’s a while since I’ve sewn any knits and I had forgotten how quick and how much fun they are. 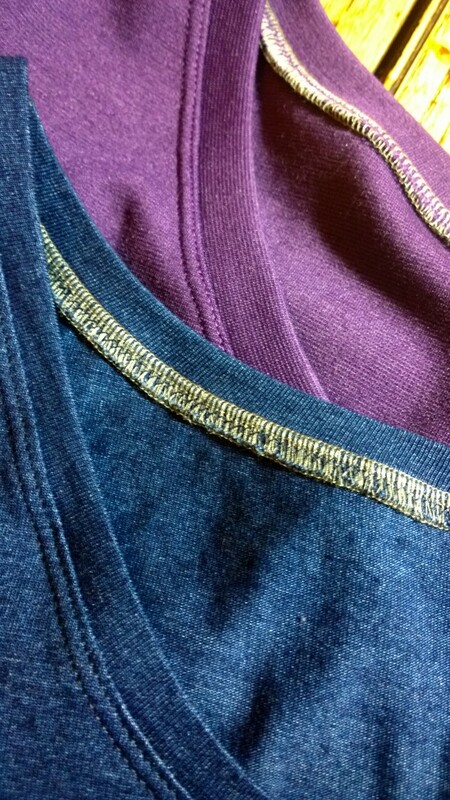 I actually used my twin needle for the first time, topstitching around the neckband and sewing the hem. I’ve never done this before as I never usually have two spools of the same colour thread, I also thought there would be a lot of faffing about trying to set the machine up and getting the tension right but it worked perfectly first time without any adjustment (yay, the sewing elves must be looking favourably on me!). I ended up with slightly longer than three quarter length sleeves, I actually shortened them by another two inches but this was added back on with the cuffs. I think they are around bracelet length now which is ok for keeping my forearms warm. I did find however I was automatically pulling them up to three quarter length so this was probably a good compromise. There are a few pull lines on the waistband of the blue dress, not sure what’s going on there but I had been wearing it all day. I have lived in these dresses since I made them, they are so warm and comfortable, like wearing respectable pyjamas’. This is the first time I’ve used Ponte and I can’t get over how cosy it is, I was straight on the internet looking for more after I made these but had to be strict as my fabric budget is empty (and my stash is overflowing, I’ve run out of places to hide fabric!) so I have added some bottle green and grey floral Ponte to my Christmas list so I can make some more! So that’s four items now from my Autumn sewing list, I’m quite amazed at how focused I’ve been and it’s definitely helped to have a plan. There have been a couple of distractions which have been added to the list but I’m hopeful that I’ll be able to finish them all before Christmas, then I can start a new plan for the New Year! 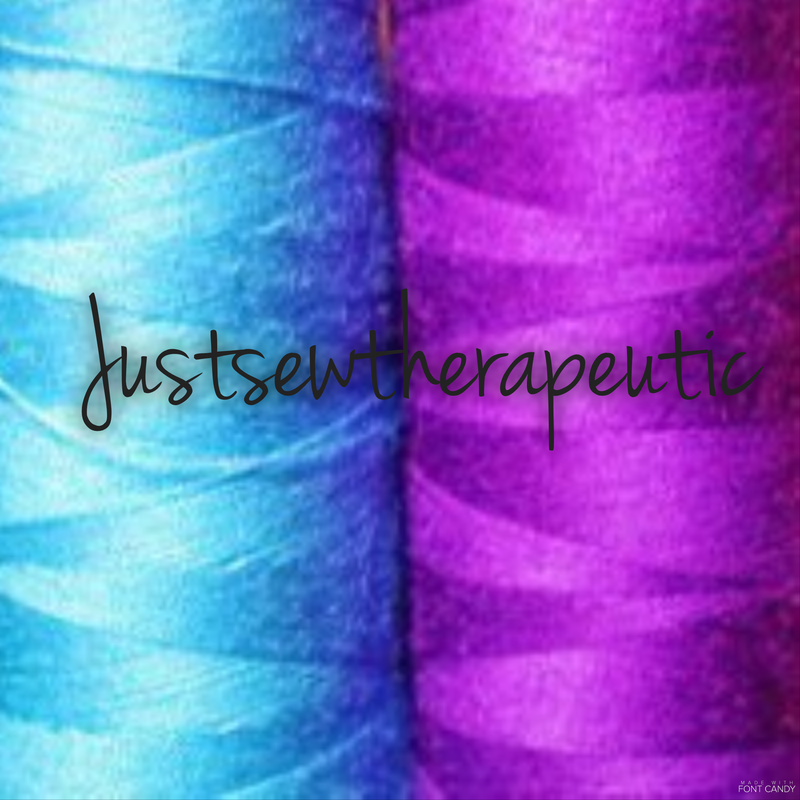 How do you choose your next sewing project? Do you have a plan or just dive in to whatever takes your fancy? 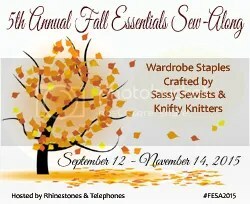 This entry was posted in Finished Sewing Projects and tagged autumn sewing, KitschyCoo ladyskater, ponte, sewing with knits, twin needle. Bookmark the permalink. These both look great in you! It’s such a great, versatile pattern. Thanks, can’t believe it took me so long to get around to making it! These are so cute and clean looking. The colours are cute, nice job! Thanks Montana, I wasn’t sure about the purple but love it now its made up! They look lovely – you have encouraged me to buy the pattern! You should it’s a great pattern, I’m on the lookout for some printed Ponte for my next one! They both look great! Love the purple. It’s great that they are comfortable while still being very stylish. Nicely done! I am a total ponte fan after sewing it for the first time recently – plush addict have a really nice spotted ponte. I love these colours they really suit you! 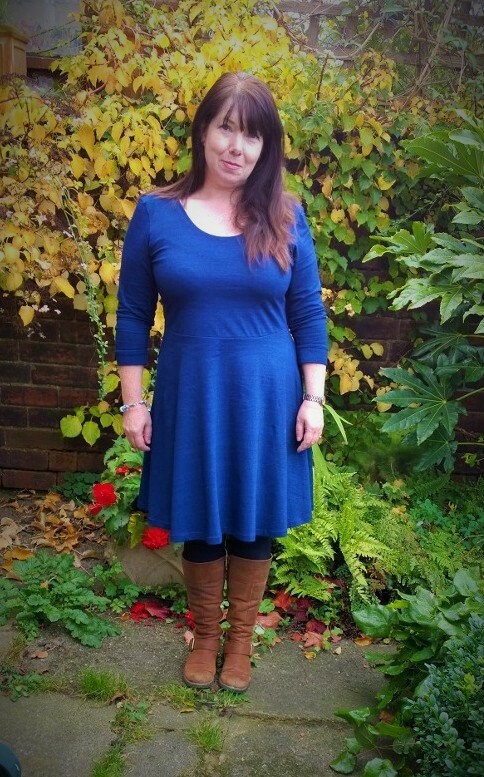 I made an autumn list and have been quite good about making what I intended but the list is getting longer much faster than I can sew – and I have sneaked an unplanned Briyere into it! I love them, and could see no sign of any muffin top peerage! You look fab, especially the purple one. I got out my border printed ponte to make a skater with but the border is perpendicular to the stretch so I’m now having second thoughts and trying to decide what to do with it. What a shame about your border print, it would have made a lovely ladyskater, would something more fitted work, less weight and fabric to stretch out? These both look awesome and I love that you added cuffs! I have the same sleeve issue – if I make them 3/4 I wish I had made them longer, and if I make them long I always push them up. 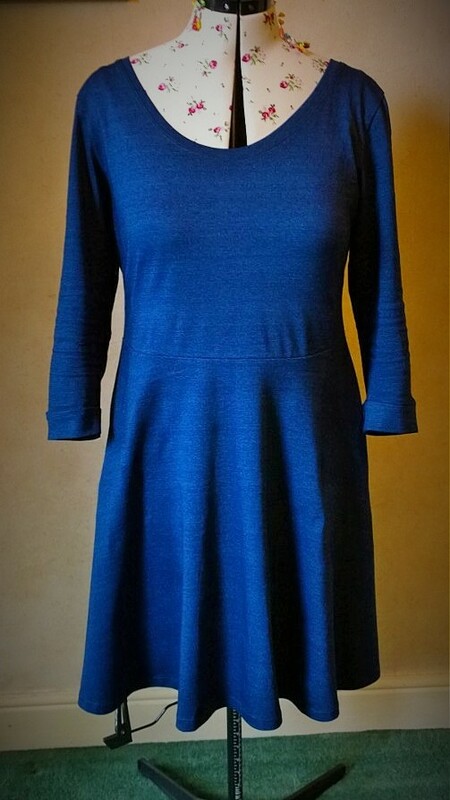 I like where the waist hits you (I always have to shorten my bodices too – but usually by 2″) and I don’t see any peering muffin top – that is one of my fears with making this dress but I think it really skims you perfectly. Ponte is a lovely and cozy fabric and hooray for your twin needle topstitching – it looks great! I love both your Lady Skaters! 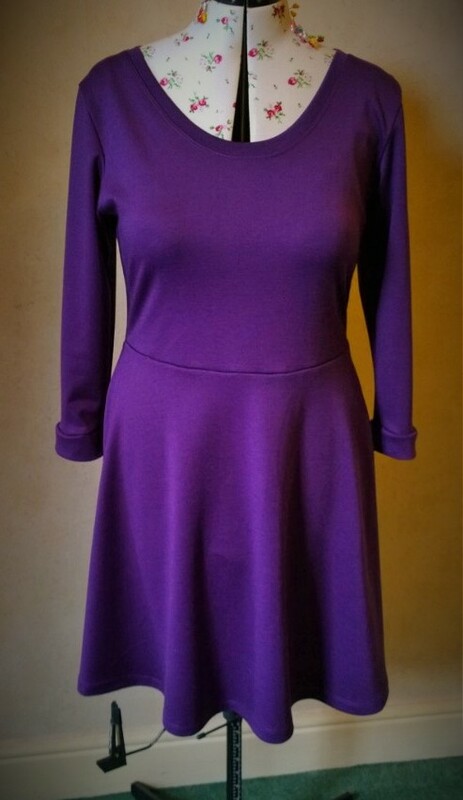 The color fabric you chose is super flattering, too. 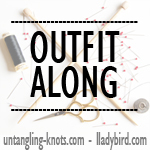 I definitely make a sewing list by season like you did…it’s so satisfying checking items off! 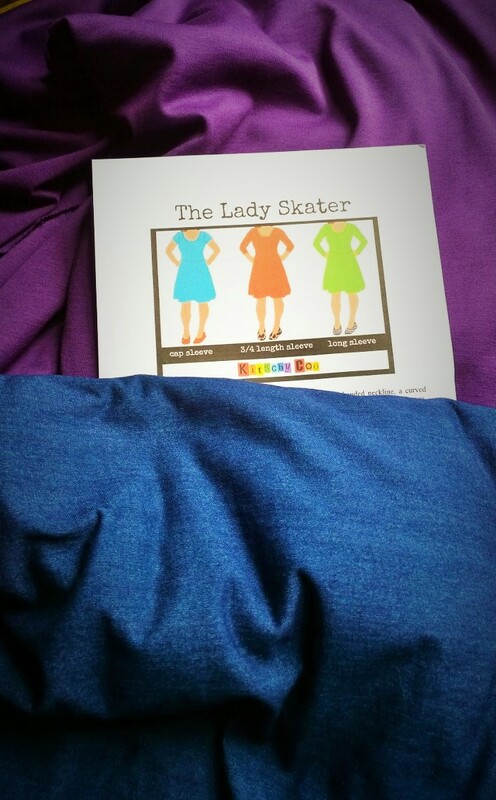 Thanks, I really need more ladyskaters, they are so comfy! This is the first time I’ve done a proper plan and it’s helped so much, I was getting completely overwhelmed by my never ending list, I’ll definitely do it again!